In what is being considered to be a landmark judgement for the crypto industry as a whole, a Rio de Janeiro court has just passed a ruling in favor of Mercado Bitcoin — a local altcoin trading platform— over the “illegal closure” of one of its checking accounts. To elaborate further on the matter, the judge presiding over the case rejected an appeal submitted by Banco Sicoob that sought to reverse an earlier decision by a local district court (that had allowed the aforementioned exchange to keep its crypto-related bank account open). In relation to the case, judge Regina Lucia Passos who oversaw the proceedings noted that banks need to provide their clients with a “justifiable reason” before closing their accounts. In her opinion, even though crypto trading is a risky activity, the Central Bank of Brazil has not prohibited the “buying/selling of digital assets within the nation’s borders”. Thus, Passos noted that what Banco Sicoob had done was not only illegal but also morally wrong. If that wasn't enough, Judge Passos also let it be known that since Sicoob had not incurred any losses by keeping Mercado Bitcoin’s account active, there was no clear justification as to why such a step had been taken in the first place. Lastly, she then went on to cite a couple of legal references that explicitly stated that in order for a bank to shut down the account of one of its clients, it needed to express its exact motives as well as reasons before taking such a drastic step. “banking institutions had the right to close accounts associated with cryptocurrencies without providing their customers with any reason”. In addition to this, one should also bear in mind that last October, another Brazilian court had directed two financial institutions to restore operations for accounts associated with crypto exchange Bitcoin Max— after it was discovered that the banks had once again acted illegally. On the matter, the country’s Federal District Court released a statement saying that Banco do Brasil and Banco Santander could face large fines if they did not comply with the judicial body’s decision. Not only that, the court also described the actions of the above mentioned banks as being “abusive and prohibited by consumer protection regulations”. 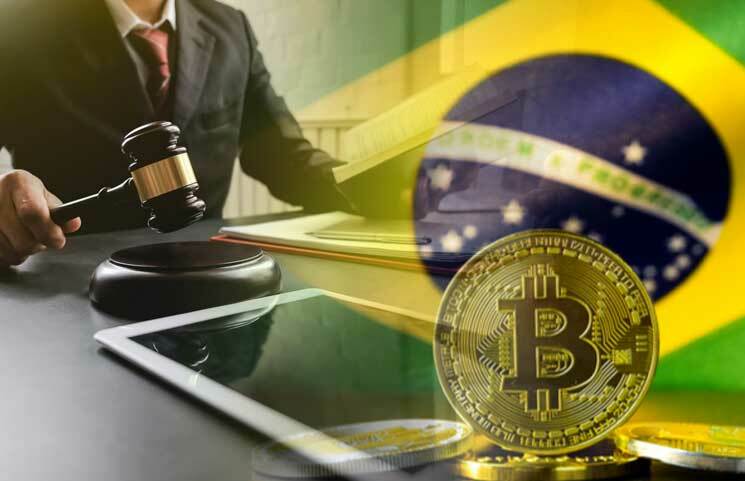 The Brazilian judiciary’s latest crypto-friendly judgement has been met by a lot of positivity across the globe. In addition to this, Brazil’s new president, Jair Bolsonaro, has just selected Roberto Campos Neto— a well known crypto proponent— as the head of the country’s Central Bank. In closing out this article, it should be remembered that as per a recent report released by Reuters, the Brazilian government is now looking to expand upon the policies of Ilan Goldfajn— the outgoing president of Brazil's Central Bank. Goldfajn has reportedly established an economic framework that is designed to help foster the growth of independent financial services and fintech companies within the country.